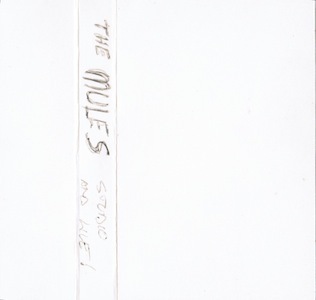 Calgary Cassette Preservation Society: Mules - Studio and Live! 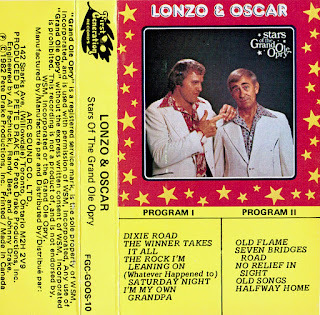 We were super excited when Duane Froslev sent this tape our way. We had only ever heard one Mules track, tucked away on the Calgary Compelation that Golden Rock posted a few years back. "True Love" is pretty great track, and we've been itching to hear more - and now that itch has been more than scratched.The Mules were Frozlev on bass, Rob Hayter on drums and vocals and Brad Paffe on guitar and vocals. Paffe went on to be part of the Daggers in the 90's (among others), as well as the very amazing Remones. 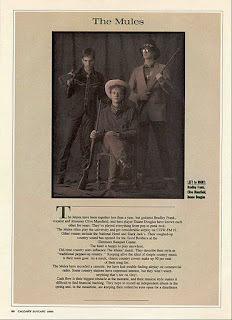 Of course, they didn't use their real names in Calgary magazine's 1986 tribute to the scene. This tape has five studio tracks (two of which we don't know the title to), and another 13 live tracks. 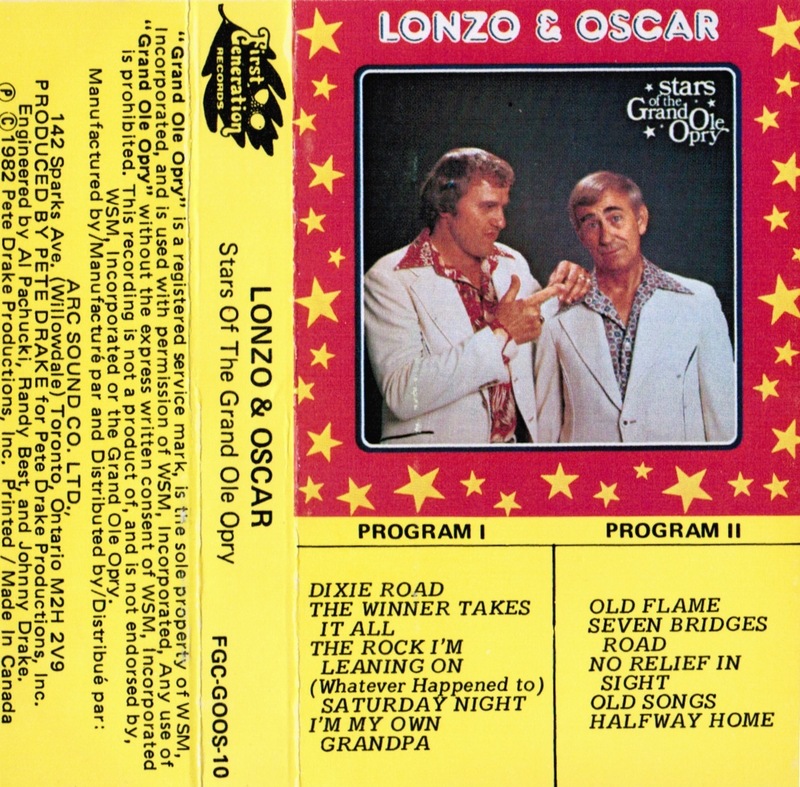 This is great country rock, influenced by the more olde time end of the spectrum (as evidenced by the reverse side of the tape cover, above). The covers pull heavily from Johnny Cash, Elvis Presley and even Buddy Holly. We're usually not big on two stepping, but it seems more than appropriate here. Thanks for bringing back the excellent memories of their live shows! Thanks for all your kind interest in The Mules. We gigged around Calgary constantly for almost 2 years straight, ‘85-‘86, so much so that James Muretich (Calgary Herald) referred to us as ‘Calgary’s hardest working band’. Brad and I started out as a duo, playing small mainstream country rooms outside of Calgary, but after getting fired a couple of times we recruited our old pal Duane to play bass, fresh from Personality Crisis. One of my songs, ‘True Love’ went to number 1 on CJSW FM in ‘86, even though it was never released on any format. It was a tremendous amount of fun. Again, thanks for your interest. Rob Hayter (Clive Mansfield), West Sussex, UK.